Those excited about the fact that Carrie Fisher will appear one last time as Princess Leia in Star Wars 9 have J.J. Abrams to thank. The late actress's brother, Todd Fisher, was vocal about his desire to see Leia continue on, despite Carrie's passing. Lucasfilm President Kathleen Kennedy had previously stated in an interview prior to the release of The Last Jedi, "Sadly, Carrie will not be in nine." That turned out to be a bit preemptive. Abrams had ideas of his own. Recently, Lucasfilm made an official casting announcement for Star Wars 9, revealing which cast members were returning and some of the new faces joining the franchise. It was then that they revealed Carrie Fisher will be included in the final chapter of this new trilogy via unused footage that was shot for The Force Awakens. Todd Fisher had this to say in an interview after the announcement was made. "J.J. [Abrams] really made this happen. If I was in any way an inspiration for the final decision to keep Leia a part of the story, that's great. I must say at times I felt like a voice crying in the wilderness." In a statement published with the casting announcement, J.J. Abrams said, "Finding a truly satisfying conclusion to the Skywalker saga without her eluded us." 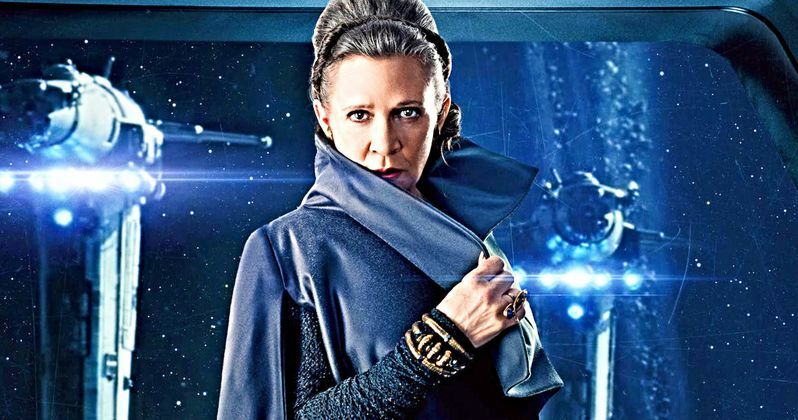 He also reiterated, as had been stated previously, that they would not use CGI or recast the role in order to accomplish what they needed to have Carrie Fisher back one last time. There were rumors floating around online about Meryl Streep possibly taking over the role. Though, that never seemed terribly likely. In any event, Abrams felt the need to make this happen somehow and found a way to do it. Last year, Todd Fisher had expressed that both he and Carrie Fisher's daughter Billie Lourd were very much on board with Leia coming back. "Both of us were like, 'Yes, how do you take her out of it?' And the answer is, you don't," he said. It wasn't long after that when Kathleen Kennedy declared that Leia wasn't going to be in Episode IX. However, at the time, it was Colin Trevorrow who was on board as writer and director, not J.J. Abrams. After Colin Trevorrow and Lucasfilm parted ways, they managed to court Abrams back to finish out what he started with The Force Awakens. At that point, Chris Terrio was brought in to work on a new script with Abrams and, as Todd Fisher tells it, he pushed for Leia's inclusion. It certainly doesn't hurt matters any that Abrams was the one who shot the unused footage in question. It's also been confirmed that Mark Hamill will return and he recently took to Twitter to express his love for the decision to include Carrie Fisher. Filming on the movie begins this week at Pinewood Studios in London. Star Wars Episode IX is set to arrive in theaters on December 20, 2019. This news comes to us courtesy of The Hollywood Reporter.